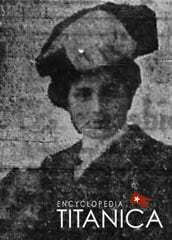 Miss Hilda Slater - one of the first class passenger saved from the Titanic, was coming back to Canada on the big liner to marry Mr. Reginald Lacon, one of the big ranch owners of British Colombia, and son of the late Hon. Mr. Lacon. Miss Slater, who is a Halifax girl, and a sister of the Captain of Queen Victoria's private yacht, had been in England and France visiting friends, and incidentally collecting a beautiful wedding trousseau, in view of her coming marriage to Mr. Lacon. The trousseau will, of course, be lost, but one may well imagine that the coming bride will be none the less welcome for that.